I love the products Trunki makes for kids – I think they’re fun, unique, and very well made. I think Trunki truly understands how to make a product fun for a kid, but yet functional and easy to use. Their signature Trunki suitcase gives kids lots of room for toys and clothes, and makes a boring suitcase something fun (even ride-able!). 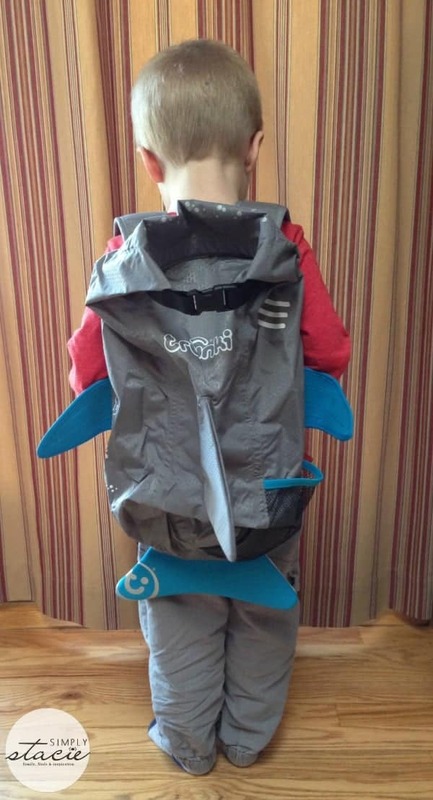 Now they offer a really neat product for little explorers called the PaddlePak – a water-resistant backpack for children ages 2 plus. 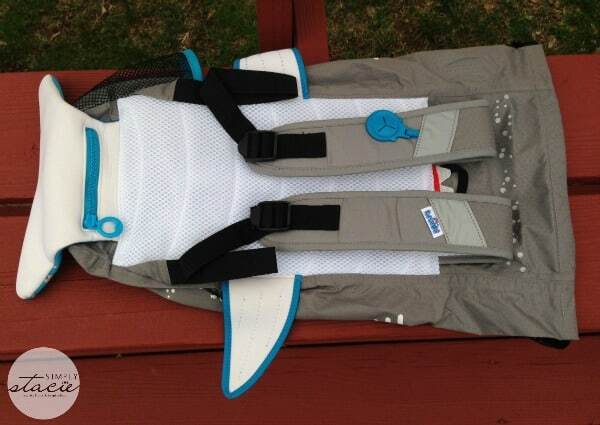 We received a PaddlePak Shark for review. 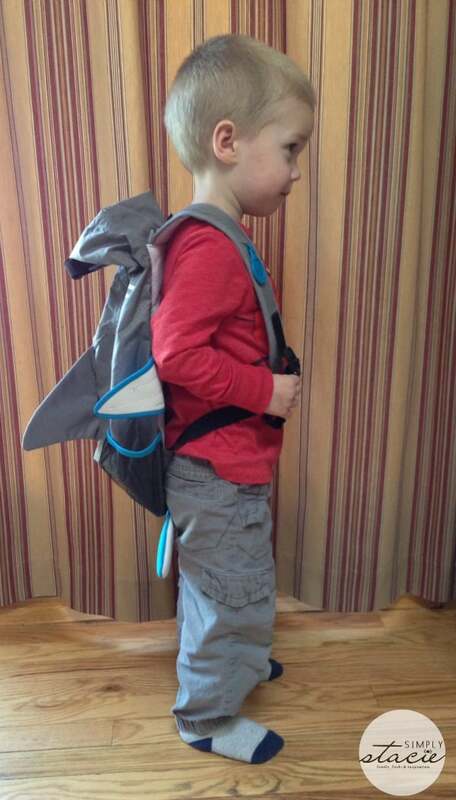 I was impressed by the size and capacity of this backpack – certainly big enough for a change of clothes, some favorite toys, even a stuffed animal or blankie. Made from lightweight and durable material, this backpack is designed to stop wet stuff getting in, or leaking out. I like the double-closure on the top of this pack, ensuring that nothing will fall out once it’s closed up. Beyond being made well and being a good size, this bag is one of the cutest things I’ve ever seen! The shark design is very well done (I especially love the little teeth detail on the top). 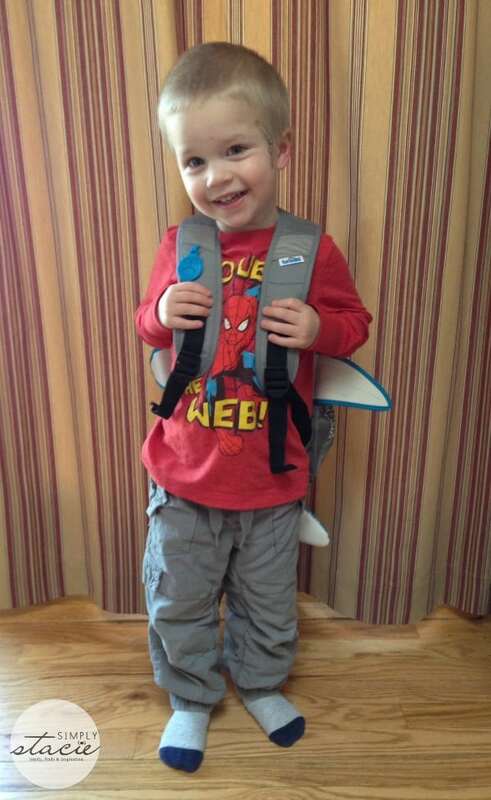 I think it’s a kind of design that will grow with my now three-year-old Noah – something that he’ll think is neat as he gets older, and with the adjustable shoulder straps this bag features it will be easy to let him carry this bag for as long as he likes! This bag is going to be perfect for our summer travels, giving Noah the freedom to pack some of his favorite things to take along, while keeping everything safe. 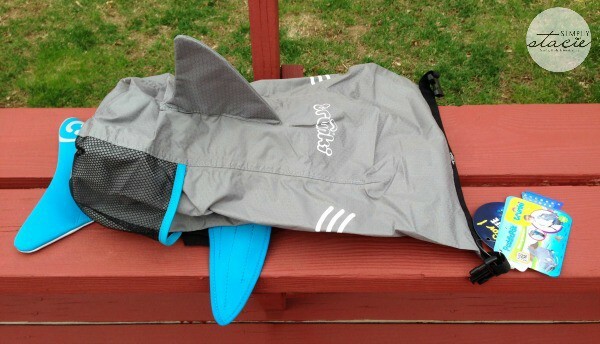 This PaddlePak Shark has an MSRP of $30 and sells online on the Trunki site. The PaddlePak comes is a variety of designs for every taste. Started in May 2006, Trunki is compromised of a team of engineers that are dedicated to making traveling with tots a breeze! They focus on making traveling with kids easy on both the parents and the kids whether it’s on a trip around the world, or around the block. You can see all the neat things they have to offer on their website. love the puffer fish backpack too!! I really like the toybox in blue for my son’s room. I also like the BoostApack in Green. I love the Paddle Pak Killer Whale. These are all so cute. I would also like the blue toybox. I like the Paddlepack LObster! The blue toybox is great too. I like the Swizzle Trunki by Melissa & Doug! I love the pink toybox and could really use it for my daughters toys! lobster paddle pack! so cute!!! I love the Clown Fish one. I like the toy box in blue. I really like the orange Sunny Trunki. I like the Yondi Owl – Ollie! I like the swizzle trunki. I really like the ToyBox in pink!